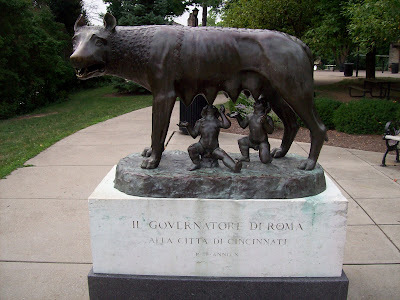 In 1931, the fascist government of Benito Mussolini in Italy gave as a gift to Cincinnati this sculpture of the Capitoline wolf. 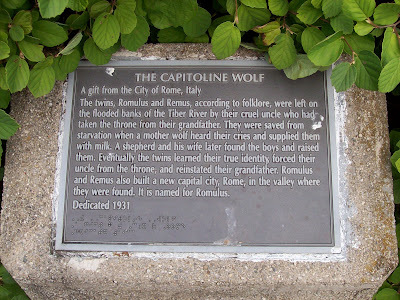 Legend has it that this wolf raised the abandoned brothers, Romulus and Remus, and that Romulus went on to found Rome, the Eternal City. Legend about Cincinnati is that, like Rome, it is built on seven hills. 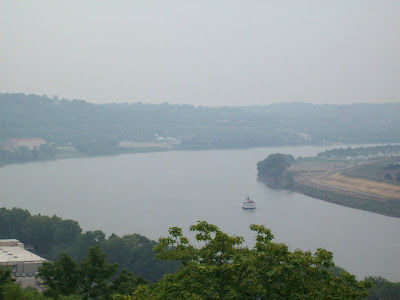 Of course, there are more than seven hills along the Ohio River where the Queen City sprawls but let's not allow the facts to get in the way of a good story. 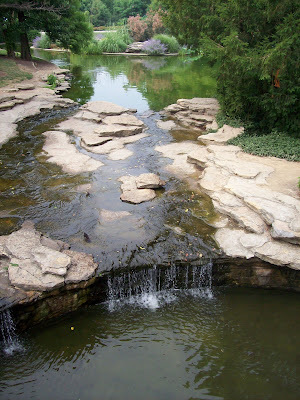 This is a beautiful little park that has a great view over the Ohio. I believe it is called International Friendship Park, is adjacent to large Eden Park, and also has a memorial to the First World War. If you look closely, you can see a river boat plying the Ohio. 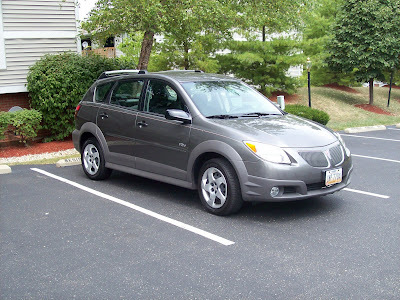 Last week I bought a Pontiac Vibe, a 2006 model with 24,400 miles on it. It is pictured at bottom. 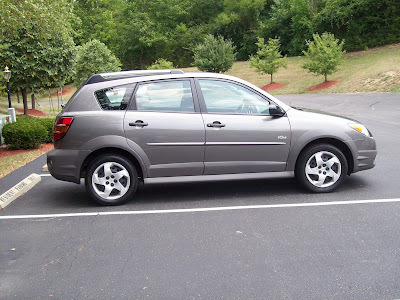 I got a pretty good price on it but the best part is that it is rated 35 mpg on the highway. I have a friend whose brother has one who claims to get 40. 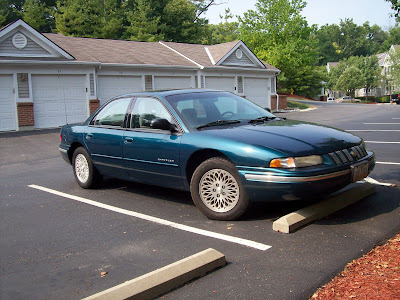 It is quite different to drive compared to my 1996 Chrysler Concorde, pictured at top. 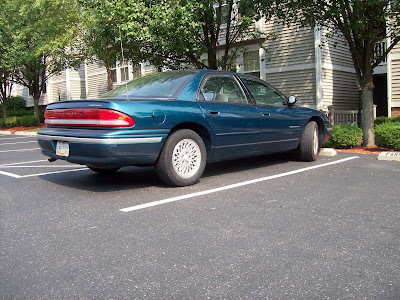 Repair bills were continuing to mount for the Chrysler which had over 114,000 miles on it. I decided to put a stop to it. I'll miss it, though. It had a good solid feel on the road and the new car is a bit like a go-cart by comparison. The new car is still under factory warranty and that's cool. And it has a great stereo! Leibniz was one of the great figures of the Enlightenment and the scientific revolution. A contemporary of Newton, Descartes and Spinoza, he was a great figure of the 17th and 18th centuries. 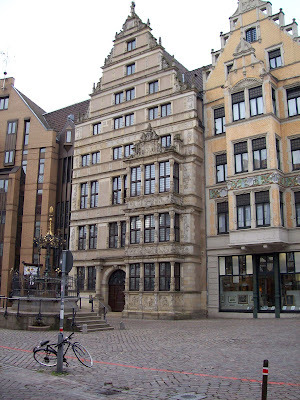 Here, at bottom, is a photo of his house in Hannover which miraculously escaped destruction in the bombing of the city in the Second World War. 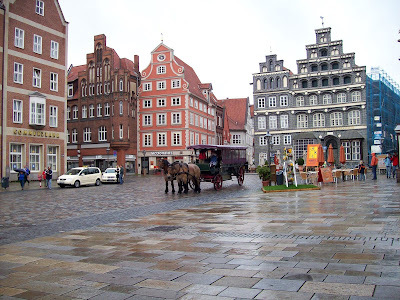 At top was a street scene in Luenburg I snapped while walking to the Haupbahnhof to take the train to Hannover.